Demand More From Your Website! The bottom line is, you have less than 3 seconds to keep a visitor on your website. You need to grab their attention, while making your website easy for them to use. We use WordPress to build sites for our clients. There are too many reasons to list here, but let’s look at the two most important. First, WordPress provides our clients with the ultimate in design flexibility. There are literally hundreds of website themes (layouts) available to fit any type of business. These plugins make your website more user friendly for your customers and the major search engines. Second, the major search engines LOVE WordPress. There are a lot of things that go on behind the scenes when a potential customer does a search on one of the engines like Google. 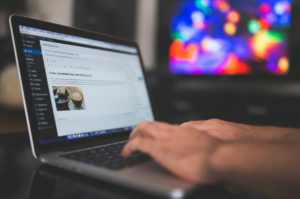 To get to the top of the results of their search (which is where your business needs to be) means having good search engine optimization (SEO). WordPress helps to develop good SEO, thus moving your website to the top of the results! How Can Get New England Online Marketing Help? We will develop a great looking, interactive website for your business. We work with you to create a website that will help you stand out from the crowd! By designing a website that will meet your business needs, whether you are selling one product or a thousand or providing a service, we create your website to help increase your customers enjoyment and user experience, making them wanting to buy. 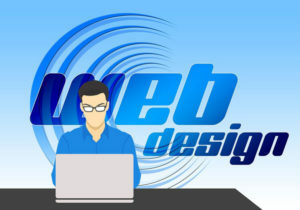 We have various website design packages, each individually designed for your business. Some of these packages include website design and maintenance, content management, keyword research and optimization, logo design, branding, search engine optimization, domain registration, payment gateways and more. We will deliver your website on time and on budget!